New Japan Pro Wrestling announced the lineups for Wrestling Toyonokuni and Wrestling Dontaku at a press conference this morning. The shows will be headlined by title matches that were set up at Sakura Genesis. Kazuchika Okada is set to defend the IWGP Heavyweight Championship against Bad Luck Fale in the main event of Wrestling Dontaku on May 3rd, while Tetsuya Naito will put his IWGP Intercontinental title on the line against Juice Robinson in the top match at Wrestling Toyonokuni on April 29th. 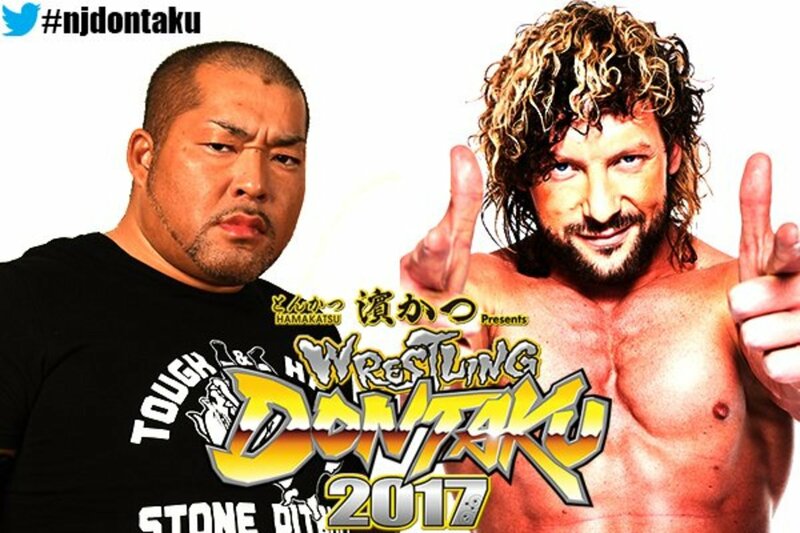 Wrestling Dontaku will also feature another singles match between Kenny Omega and Tomohiro Ishii, which could have future title implications for the winner. Two other titles will be up for grabs at a smaller show on April 27th, where Hirooki Goto will defend the NEVER Openweight Championship against Minoru Suzuki and Roppongi Vice will challenge for Taichi & Yoshinobu Kanemaru's IWGP Junior tag titles. Due to what NJPW reported to be a subdural hematoma, Katsuyori Shibata underwent emergency surgery following his match at Sakura Genesis and will miss this upcoming tour.